We make lists to provide essential supplies to our families once they've been placed into housing. Most families have experienced trauma, high levels of stress and feelings of helplessness for many years. Your gifts provide them with comfort beyond the item itself or the purchase price. 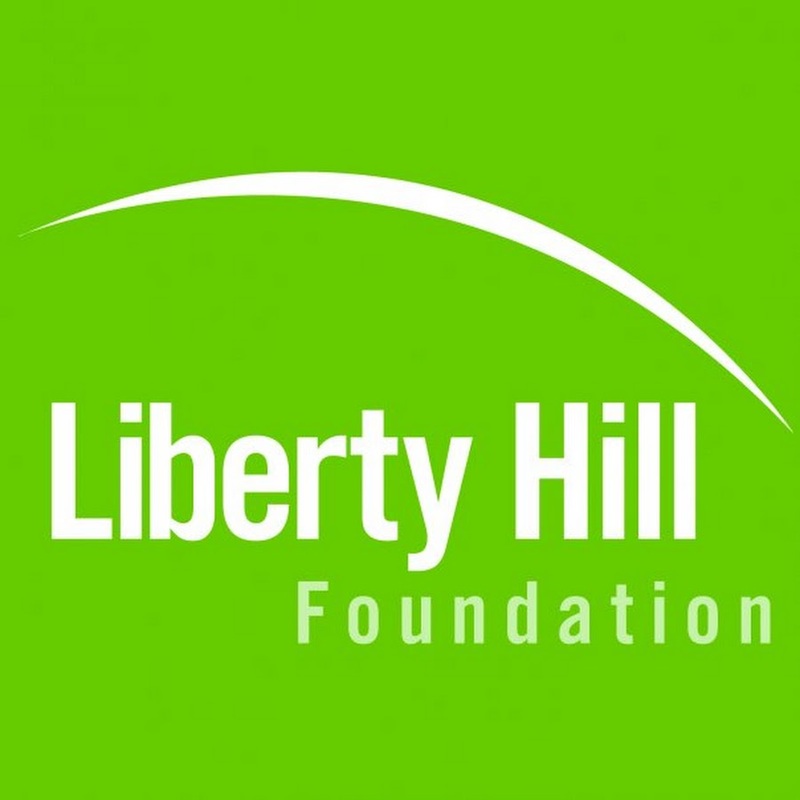 Thank you for putting your attention, energy, and dollars towards helping our families. Click on each photo below to link directly to the Amazon Wishlist for each family and refer to the color code to the right for additional info. This page is frequently updated so check back often! This family is from Afghanistan. They arrived on 19th of January 2017. They have a 6 year old girl and 2.5 years old twins. Dad has a bachelor degree in Political Science and served as lawyer, prosecutor and translator for US troops in Afghanistan. Mom is educated and worked as teacher in Afghanistan. As a result of a land mine explosion dad was badly injured during a mission. He is still under treatment and is unable to work. This amazing family needs your love. Please help them by providing them with theseitems. Young family of three, Mom, Dad with 8 month old baby boy left their homeland to the States in early 2017, First they stayed in a motel and then shifted to a volunteer house for a month. The father served as translator for US troops for many years in Afghanistan. Both Mom and Dad are well educated and can speak English. They just moved into an apartment which needs to be furnished with your love and generosity. The Alkhleif family needs much help and support. Two days before they arrived in the US, they lost their 2 year old daughter. They have three other daughters. Dad has vitiglio disease which takes an emotional toll. Please show this family your love and support. Iraqi family with 9 kids and a widowed mother. The father was killed in Iraq. Mom moved with her kids to Turkey for safety place and waited there for 3 and a half years. This very big family needs your help and support to change their life. The 9 kids are living with their mother now in one small apartment. They are in urgent need of all of these items, including the TV and washer and dryer. The Shalizi Family is from Afghanistan, arrived early 2017 and live in CA. They have two boys 13 and 7 years old and a 9 year old girl. Dad is holder of a bachelor degree in Electrical Engineering from Afghanistan and worked with International Engineering companies there, he is seeking a job. Mom joined ESL. The kids go to school and the 13 year old boy is interested in becoming a good football player. Their empty apartment needs the items listed here. The Samadi family left Afghanistan in late 2016 to the United States. They have two daughters ages 3 and 5 years old. Dad has a bachelor's degree, and Mom is working to learn English. They need these listed household essentials. Dad, Mom, Grandma and 4 kids moved to Jordan from Syria in 2011 where they waited to move the the US in 2016. Please help them by gifting these items listed here. This family of three arrived in the US in September of 2016. The mother uses a wheelchair and the daughter is partially blind. They need your help and support with these essential items including hijab for the mother and daughter. This Afghan family arrived to the US on April 13 2017. Mom, Dad, with two sons and two daughters live in Northern California. Dad is looking for employment. They need lots of basic supplies to set them up in their new home. The Mubashiri family arrived to the States in late 2016. Mom, Dad with two boys ages 23 and 16 live in CA. Mom and Dad joined ESL classes and their 23 year old son is interested in computer science and wants to attend college. The 16 year old son is in high school. Their priorities are laptops so that they can do their assignments and look for work. The Al Sajour have 4 sons and one daughter. Their oldest son Isaa is developmentally disabled. They left Syria in 2015 and arrived in the US in November 2016. Please help this family by fulfilling their listed items. The Abdulhakim family are a Syrian Family Dad, Mam and 6 Kids they moved from Syria to Iraq in 2013 and waited there until Feb 2017. Please help and support this family with household items and clothes and other items. The Adil Family left Afghanistan for the US on July 7th 2016 and settled in CA. Dad is a civil Engineer, Mom attends English classes and their 3 years old son goes to daycare and their 6 year old daughter goes to school. Both kids are eager to learn swimming and the daughter is artistically talented and interested in painting. Their new baby will born mid June! Their items needed are listed. A double stroller is their first priority. 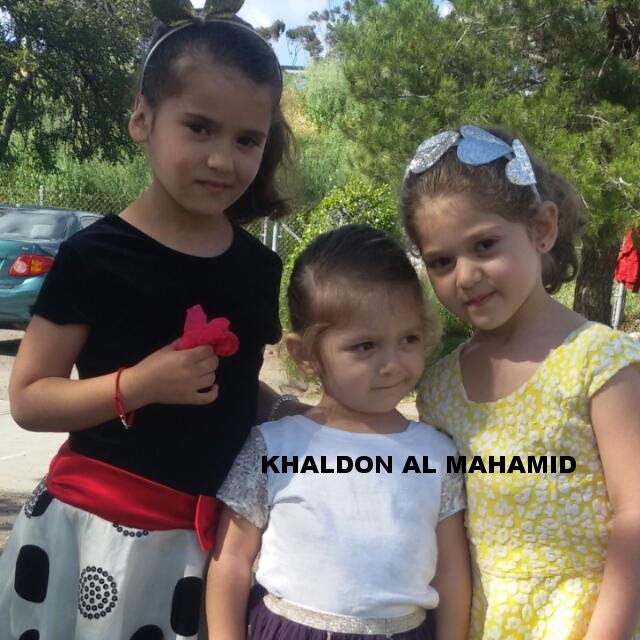 The Khaldon Al Mahamid family have three small children. They moved from Syria in 2013 to Jordan and came to the US in October 2016 by the UNHCR. They are working toward rebuilding their life here and need help with essential household items. Afghan Family, Mom and Dad with a new born baby boy aged two months arrived on January 5th 2017 can speak English very well and he worked in Afghanistan as IT trainer in US projects. 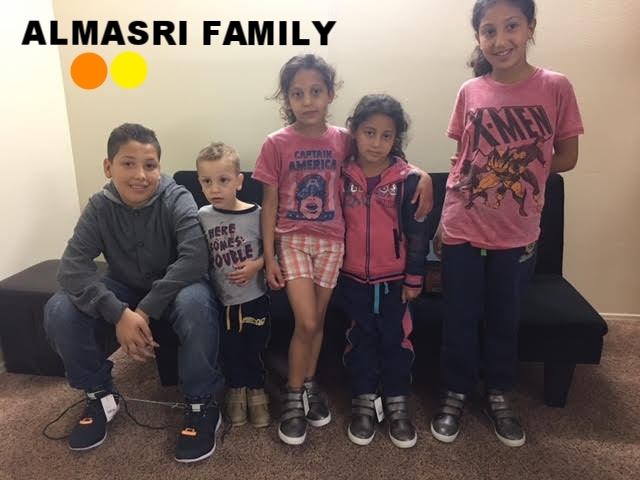 Large Syrian family comprised of Mom, Dad 4 boys and 3 girls needs help and support with household items and clothing and shoes listed here. A family of four from Afghanistan arrived in Dec 2016. Mom, Dad with their two sons 6 and 2.5 years old live in California. Dad speaks English very well, he worked as HR and Finance in Afghanistan on USAID funded projects. They need following items for their empty apartment. Syrian family with 6 children. Family story to come soon. Family of 8! The father worked with USAID and was injured on the job and has had many surgeries and is currently unable to work. The family could really use hese household items. The Younes family have 5 children. They moved from Syria in 2013 to Kurdistan Iraq and arrived in the US November 2016 and need much help resettling their family. One of their sons, Dalan is blind. Dalan can play music and sing, and his dream is to have a keyboard. Syrian family of 4 with a baby on the way in less than two months! They moved to Jordan in 2013 where they waited for three years until finding a safe passage to the US. They are looking for your help and support. Nour is getting married this weekend! 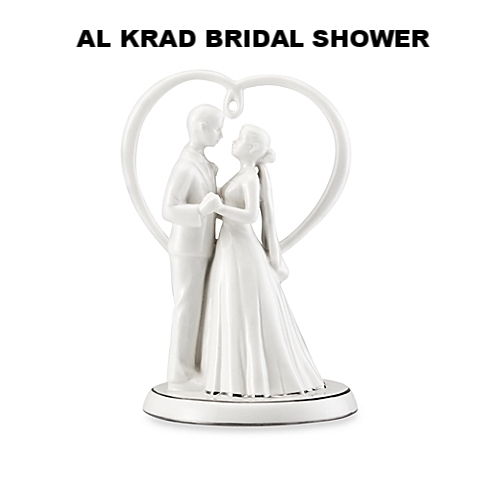 Help celebrate this joyous occasion with these small gifts listed here. The Mohamad Abdi family are a Syrian family who left Syria in 2012 for Turkey. The mom has FMF, a problem with her kidneys, one of the kids ha a problem with his spleen. They just arrived in the US Oct. 2016. This family looking for your help and support. The Khaled Alassaf family are Dad, Mom and 5 kids. They left Syria in 2013 to Jordan and came to the US through the UNHCR in 2016. Please help this family with household, clothes and other items. The Obaid family are an Afghan family of seven who arrived February 15 2017. Mom, Dad with 4 girls ages 10, 8, 7 and 2 years old and one boy of 11 years old currently live together in a two bedroom apartment. Dad previously worked with the US Army in Afghanistan, can speak English and he is now looking for employment. Their household essentials are listed below. A family of three from Iran: Mom, Dad and a 2.5 year old daughter arrived on May 5th 2016. Resettled in an apartment in Northern CA. Dad was working as Journalist in Iran now both Mom and Dad are jobless and looking for work. They need following items urgently; laptop, vacuum and phone. The Waleed Al Kafri family left Syria in 2013 with their two young children. The UNHCR helped them to come to the US in 2016. The family needs help with basic household items, clothes and shoes, and booster seats for their son and daughter! Single dad and 13 year old son new arrivals from Iran. This amazing father son duo is ready to start their new life in Turlock, CA. The father was a math teacher and haw written 10 books in his home country of Iran. Highly educated and impressive resume. Wonderful family! Young couple with a baby from Afghanistan, a country which has been experiencing civil war since 1985. They arrived here on 1/17/17, just days before the executive order. Mom is 22, dad is 30. Their baby girl is 12m. Dad worked with US army for 4 years in Afghanistan and is an accomplished journalist and writer. They are living in an empty apartment and need EVERYTHING! Mahamad Al Zin Family: Dad, Mom and 5 kids ages 16, 14, 12, 9 and 5 moved from Syria to Jordan in 2013, and finally arrived in the US August 2016. They are rebuilding their life and need household items, clothing and shoes. Dad, mom and 5 girls! Originally from Homs, Syria. Left Syria July 1, 2012. Left Homs in March, for Damascus. Stayed 2 months. Left for Dara on the border of Jordan. Arrived in Jordan July 1 by foot. Stayed in camp for 10 days, then left to Aman the capital of Jordan. Arrived in the US in October, 2016. Afghan Family of five arrived on March 14 2017. Mom, Dad with three kids aged 9, 8 and 6. Dad was previously working as an Engineer in Afghanistan, he speaks English very well and is now seeking employment Their household essentials are needed to help them restart their home together. This family of refugees from Syria has three children -- a 14-year-old boy, 13-year-old girl, and a 9-year-old boy. The youngest boy has special needs due to injuries caused by a lack of oxygen to the brain during delivery. He is non-verbal, and can't walk or sit on his own -- but he has a beautiful smile and a sweet, loving disposition. He was recently hospitalized for treatment of complications from his disabling injuries. (Name withheld) family entered California on September 11, 2013. Mom and her kids now need so many home items and daily essentials. They are starting from scratch and the mother is injured so any help is much appreciated. Syrian family of 5 with baby on the way. Dad and pregnant Mom and 3 kids: twin boys aged 7 and an 8 year old daughter. They left Syria since 2012 fleeing to Jordan and lived there for four years until being awarded resettlement in the US and arriving to Southern California in August, 2016. They need help with clothes, household items and personal care supplies. Afghan family of 5, arrived to LA on March 8 2017. Mom, Dad with three kids: 9 year old girl, 6 year old boy and baby boy, 13 months. Dad worked with the American military in Afghanistan. Now they are resettling in Southern CA. The Barry family is from Syria. They're a mom, dad, and four kids aged 2, 7, 9, and 11. They fled their home in 2013 and went to Jordan, applying for refugee status with UNHCR at a refugee camp. Mom and dad have serious health problems and it causes a lot of stress for the family. They need help with household, clothes and other basic items. Syrian family of five: Mom, dad and three boys aged 1, 5, and 7. Originally from Homs, they fled Syria in 2012 to Jordan. They came to the US in 2016 and they are resettling in LA County. Warm, loving family from Syria: Dad, mom and three daughters aged 11, 15, and 19. They arrived in June 2016 and are resettling in Southern California. 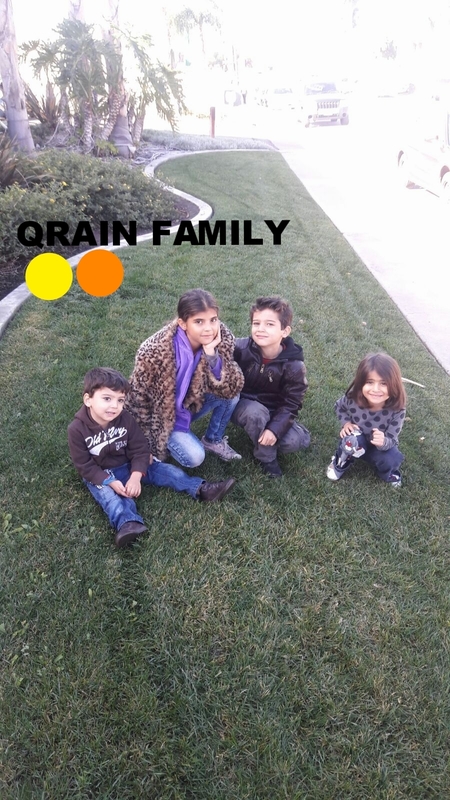 A beautiful family of 7 from Afghanistan who has resettled in Orange County. Kids ranging 8m-13y. Dad speaks basic English and the baby girl is deliciously chunky! We were able to supply them with beds, a cell phone, and household basics in their first week in their new home. This is the remainder of their list. Syrian family of 9! One of the kids has a disability They moved to Jordan in 2013, and they applied through the UNHCR to come to the USA as refugees. This family arrived in the USA in Aug. 2016, no one is working, no one speaks English .... this family needs big help and support! Syrian refugee family that arrived in southern California in late January. Dad, mom, and four kids ages 7 through 13. Iraqi family of 7: Mom, Dad, 3 sons and two daughters ages 11, 15, 16, 20, and 22. Fled from Iraq in2006, they applied for refugee status through the UNHCR, and in December 2016 arrived to the US. The are resettling in Southern California. Afghan family of 6: Mom, Dad two boys ages 9 years old and 1.5 years old and two daughters ages 6 and 4 years old arrived in CA on Jan, 9, 2017. Dad's English is very good and he worked with USAID funded projects in Afghanistan. Originally from Homs. Left Syria in 2012 for Jordan. Dad, mom and five children aged 11, 9, 6, 4, and 3. Husband was a plumber in Syria and is looking for employment here now. Single Syrian man, himself a refugee, who has worked hours upon hours to make lists for oter refugee families in his neighborhood. He has made over 30 lists for new arrival refugee families in El Cajon. First thing he needs is a laptop to help him find work and work more productively for listmaking. He also needs household supplies. Thanks for your help! Family of four from Afghanistan. Arrived December 7, 2016 and are living in an apartmentin Southern California. Dad, mom, 4 year old boy and a 5 year old girl. Dad and mom both speak Farsi and English. They're currently unemployed and seeking work. Dad worked as a legal advisor and project coordinator in Afghanistan. They need furniture and household essentials. Syrian Family of 6 with a child with special needs. Their 8 year old son, pictured here in the middle, has been diagnosed with a severe case of Osteogenesis Imperfecta, a rare genetic disorder that causes brittle bones and stunted growth. Mom is young, in her mid twenties, and she is an INCREDIBLE cook! Bakes delicious cakes too! This is a family of 7 from Homs, Syria. They fled in 2012, walking BY FOOT with their 5 children, including their 3 week old baby to Jordan. They spent four years in Jordan, at first in a refugee camp, then leaving after two month because of atrocious conditions, and living in the city. Their children are aged 13, 11, 9, 8, and 4. Dad makes best falafel I've ever had. Five month old baby daughter! Originally from Jordan, she arrived here in 2014 as an asylum seeker. Her parents joined her in May 2015 and they live together. The grandparents run a catering business out of the home. Mom will attend college when the baby turns 1 so she needs pumping supplies to prepare for that. She also needs general nursing supplies, baby stuff and high quality kitchen supplies. A Syrian mom, dad, and three teenage kids. Originally from Damascus (rural) left for Jordan in March 2013. Stayed in Mafrack city for 1 yr and went to Aman until they came to the US in July 2016. This family consists of a Yazidi woman, her six children aged 5-18, and her sister-in-law, who is severely disabled with a skeletal deformity of the spine. Her husband is still in Iraq. The family left Iraq 3 years ago to go to Turkey because the situation in Iraq was extremely dangerous. In one incident, a Militia kidnapped her husband. He was held for a week before his wife was able to pay the ransom to have him released. Dad, Mom and five kids moved from Syria to Jordan in 2013 where they waited until 2016 when they found a way to travel to the US. They now need household items and clothing and shoes for their children. 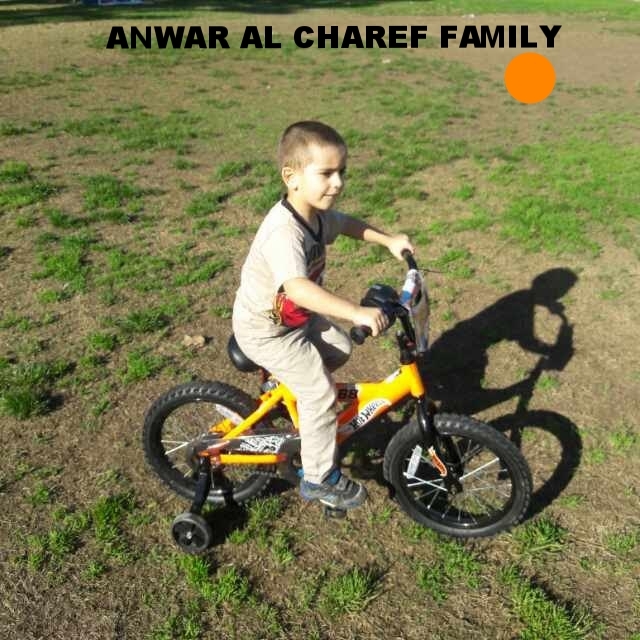 The Anwar Al Charef family moved from Syria to Jordan in 2012, where they waited for 4 years until they arrived in the US. They have five children ages 5, 10, 14, 17 and 20! They are in need of clothing, shoes and household items. 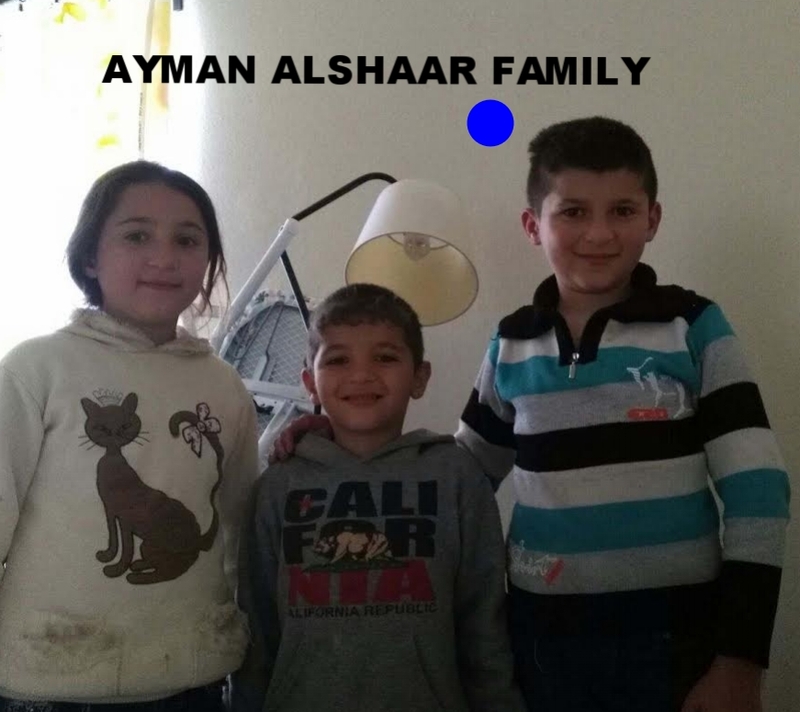 The Yousef Hijazy family have 3 kids, 1 girl and 2 boys, they moved from Syria to Jordan in 2012 where the family was living at Al Zatary Camp in Jordan. It was a hard situation but they were able to move to the US in January 2017. Please help them with their new beginning here with these items on their list. The Khaled Al Krad family have three daughters and three sons. They left Syria in 2014, waited in Jordan for three years and arrived in the US October 2016. They would love to have a food processor and meat grinder for their large family. 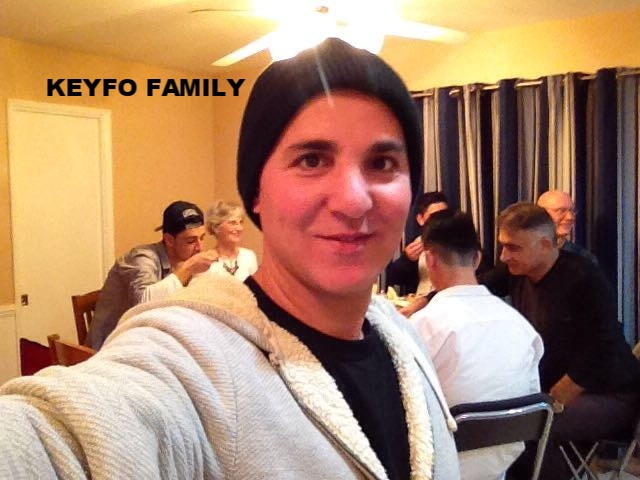 Large family of 9 from Syria resettled in Northern California. Family consists of dad (40), mom (36), daughters aged 14, 11, 9, and 5 and teenage son 15, and twin toddler boys aged 1.5. Dad Mom, one boy and two teenage girls left Syria in 2013 to Egypt and waited there until July 2016 when they came to the US. Please take a look at their list of needs here. The Tlas Family has three girls 11, 9, and 6 and 2 year old boy. They left Homs, Syria in December 2012 when their daughters were 6, 4, and 2. They moved to the US in October 2016 where they stayed in a single hotel room for 12 days with no food or access to food stamps. Now they are in permanent housing but their home is missing many staples! Let's welcome them to America by helping them out with their household needs, wants and getting their kids ready for school. The Khairkhwah family arrived from Afghanistan on March 27 2017. They have three daughters ages 11, 10, and 5 years old. Dad is a BBA holder and was working in Afghanistan as HR with different organizations. Their empty apartment needs these essential items. The Mohammad Katab family moved from Syria in 2012 to Jordan, landing in the US in August 2016 through the UNHCR. This family is looking for help and support. Th efather needs a car so he can start working with Uber and the family can be independent once more. This is a Family of 7. An elderly grandmother, a mom, a dad, 3 daughters aged 2, 10, and 12 and a 13 year old son. They arrived in US on Sep. 1, 2016 through a refugee camp in Jordan. This young couple left Syria to Jordan and there, they had a very rough life. They later moved to Miami in Aug 2016. They struggled as there was no help , they were without jobs and the Muslim/Arab community was not around them so they were all alone. Luckily, an American woman helped them and booked their ticket to California where they moved on February 2, 2017. Syrian family of five with twin 6 year old girls and baby boy aged 14 months. They came from Homs, Syria and spent 3 years in Jordan in a refugee camp before coming to the US in June 2016. Mom is an incredible chef! The Al Sednawis are a Syrian family: Dad, Mom and 3 kids ages 19, 13 and 11. They left Syria in 2014 to Egypt, where they waited for over 3 years to come to the US. They arrived in California July 2016. This family is looking for support to get clothing, household, and other items. Syrian family of 7: Dad, mom, 4 daughters and 1 son ages 5, 12, 16, 19, and 21. They arrived TWO DAYS before the original executive order banning muslims. Their apartment is bare bones! New household supplies and essentials needed. New Arrival Syrian refugee family of NINE! Mom, dad, six sons and a daughter. These people need HOUSEHOLD CLEANING and PERSONAL CARE supplies. The Arabzai family are a large family who just arrived from Afghanistan on March 27, 2017. They have 4 children ages 8, 7, 6 and 2. The father is a BBA holder and was working with the US army in Afghanistan. He speaks English and is looking for employment. Their empty apartment needs to be furnished and they are in need of basic household items. Large Syrian family of nine! Mom, dad, and seven children aged 3, 5, 7, 9, 10, 13, and 15. Arrived to the United States in September 2016 and they are resettling in El Cajon. A family of four from Afghanistan arrived on March 30th 2017. Dad, Mom two boys aged 7 and 3 boys resettling in Northern California. Dad was working in Herat Province of Afghanistan and now is seeking a job. Their apartment is unfurnished and they need everything. 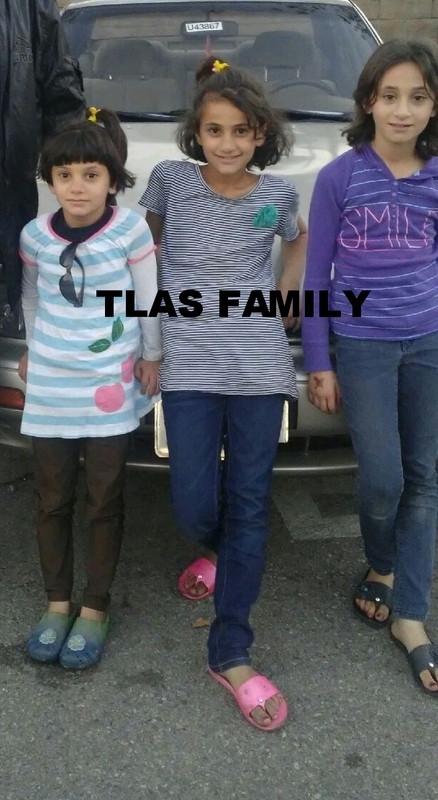 A family of four: Mom and Dad with 14 and 22 years old girls from Iran arrived on January 24th. Dad is seeking for a job and 14 yr old girl is enrolled in school. Their home needs to be furnished and they are currently living in a completely empty apartment. Syrian family of 6 who arrived 2 days before 1ST ban! Mom, dad, 2 boys and 2 girls. The family had to flea from Halab- Syria to Istanbul, Turkey after their house was completely destroyed. In Istanbul, the older boys had to work to support the family financially and the girls were not enrolled in school. They arrive to the US hoping for a brighter future for their kids. Syrian family of six arrived here on November 1, 2016. Children include 3 boys aged 9, 19, and 21 and a daughter aged 16. Currently their primary need is cell phones for the teenage kids. Sara's Personal Refugee Story : I am Sara, born and brought up in Egypt. I have completed my BS in Medical Sciences in 2008 and moved to India afterwards for volunteer work in southeastern India. By the end of my mission, Egypt was falling under huge political problems that necessitated my Asylum in India. I lived in India until I was granted the approval for admission to the US and was granted entry to the US on 26 January 2017. Iraqi family of 6 with four boys aged 4, 10, 13, and 15. Arrived September 2016. Left Iraq for a safe place, resettling in Southern California. Syrian family of 8. Dad, mom, Daughters aged 9 and 13 and sons aged 19, 17, 15 and 5. Husband has a heart condition is unable to work. They need phones so the family can be in contact with one another when they go out. Syrian family, with 6 kids, ages 8, 8, 11, 13, 14,and 17. Mom has disability with her legs. They left Syria at Sep. 2013 to Jordan. They arrived in the US in October 2016. Syrian family of 8: Mom, Dad, 4 daughters and 2 sons. One of the girls is disabled. Moved from Syria to Iraq where they received UNHCR refugee status and waited to be selected for resettlement. Single mom of three boys aged 8, 4 and 2 from Jordan. In Jordan she worked with the UN for 9 years. Came to US in 2014 and just completed a job caring for an elderly person. She does not make enough to cover her rent and utilities every month. Seeks assistance with supplies for household functioning! Syrian family of 6: Mom, dad and 4 boys ages 5, 11, 16, and 18. One of the sons has an eye injury/partial blindness. They fled from Syria to Jordan in 2012. waited 4 years until they were granted resettlement in United States. They're resettling in Southern California. Syrian family, husband with wife and 2 kids arrived August 2016 resettling in San Diego. The four year old son has a disbility. Left Homs, Syria in 2012 for Jordan. applied for refugee status through UNHCR and they waited two years to get to the US. An Afghan family of three: mom, dad and a 19m old baby boy lives in an apartment in CA. they arrived to US on Feb 23 2016 and recently moved to a new apartment. Dad speaks both English and Farsi and is seeking a good job. their new apartment needs to be furnished. The Al Halak family is a dad, mom, and four kids: 2 boys and 2 girls aged 4-18. They left Syria in 2012 to Egypt and they lived there 4 years. Dad was a professional carpenter in Syria. This is an Iraqi refugee family (mother and two teenagers (girl/16, boy/14). The daughter is in high school and speaks English well. They are refugees from Iraq who fled to Turkey first, lived in a refugee camp for 4 years, and were finally able to make it to the U.S. in late 2016. (The father of the family is unable to join his wife and children in the U.S. at this time.) Currently, the family is isolated from others in their situation, as there very few refugee families living in the neighborhood in which they've settled. They are currently living in a small one bedroom apartment, and are in need of household basics, like a futon and bedding, as well as shoes, and bicycles to use for transportatio. Thank you for any assistance you can provide! Sameer, a budding photographer, needs a camera! The Zarour Family - This is a Syrian family of 7 (mom, dad, girls/14, 13, 11; boys/8, 6). The 6-year-old is disabled and non-verbal, but his eyes are filled with joy and he smiles easily. The father was a contractor in Syria, whose specialty was creating beautiful ceilings. They recently moved to Southern California, and have been living in an apartment for just a few months. They are currently in the process of enrolling their children in school. The Almasri family is a Syrian family of 7 (mom and dad, boy/14, girl/10, girl/8, girl/7, boy/2) who fled to Jordan and lived in refugee camp in poor conditions for 3 years before finally making it to the U.S. Their youngest son, who is 2.5-years-old, was born in a refugee camp. They have some essentials but would like to add some household items that are difficult for the family to afford in their current situation. The father was a baker in Syria and is currently looking for work in that field.